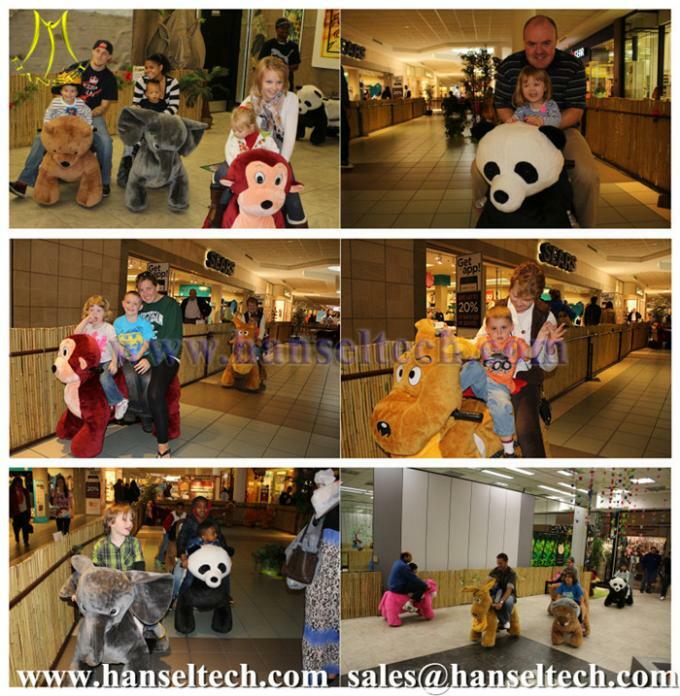 Welcome to visit Hansel website for plush motorized animals. 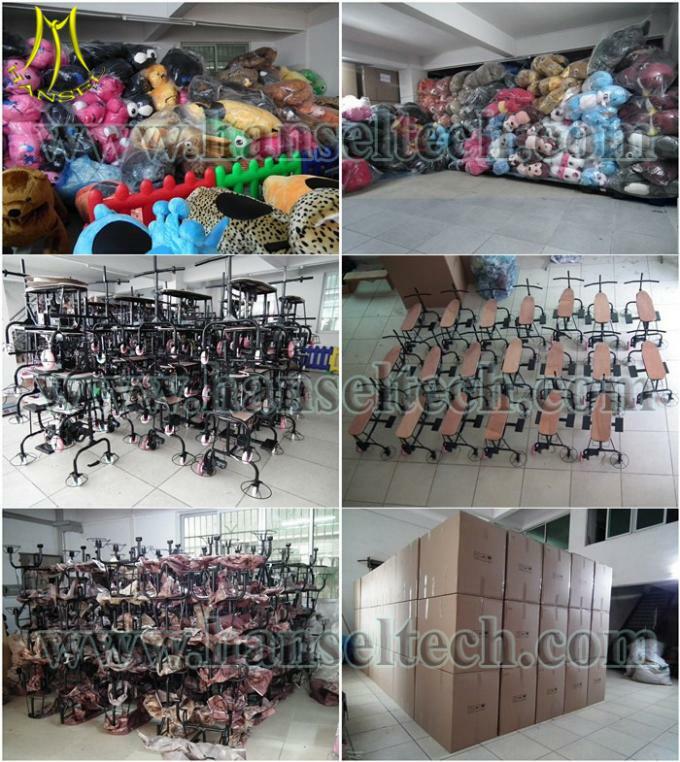 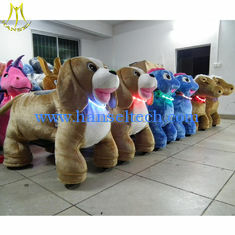 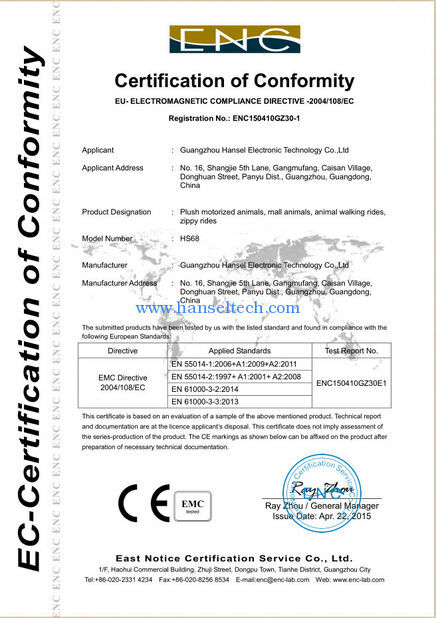 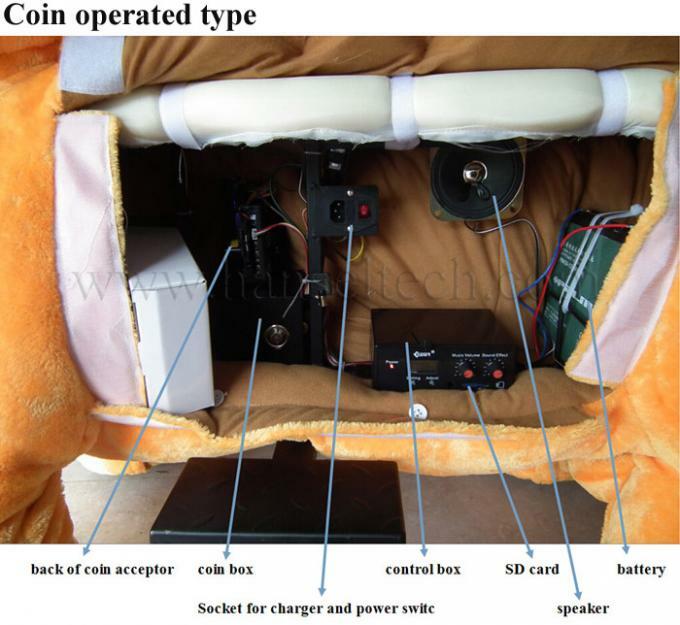 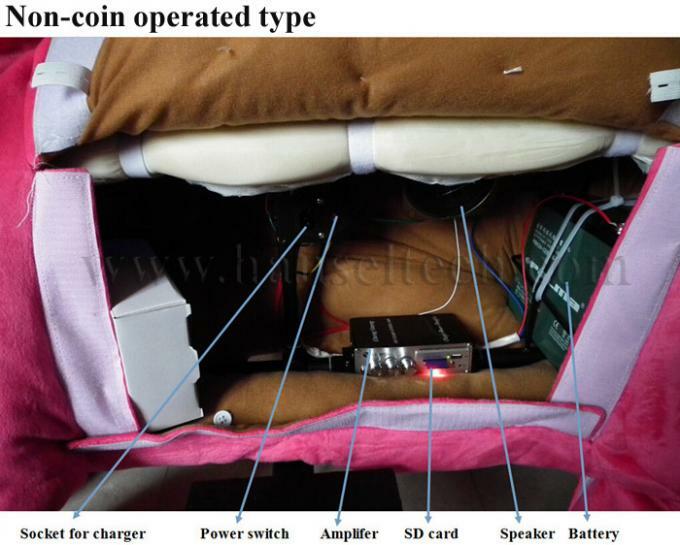 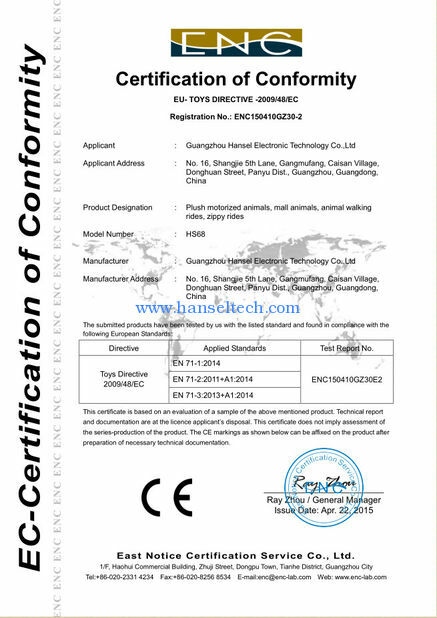 It is also called animal toy rides, animal walking rides, animal electric rides, shopping mall rides on animals, animal electric rides, happy rides on animals, plush motorized riding animals, mall rides on animals ,plush motorized animals, coin operated rides on animals, stuffed rides on animals, plush toy rides, etc. 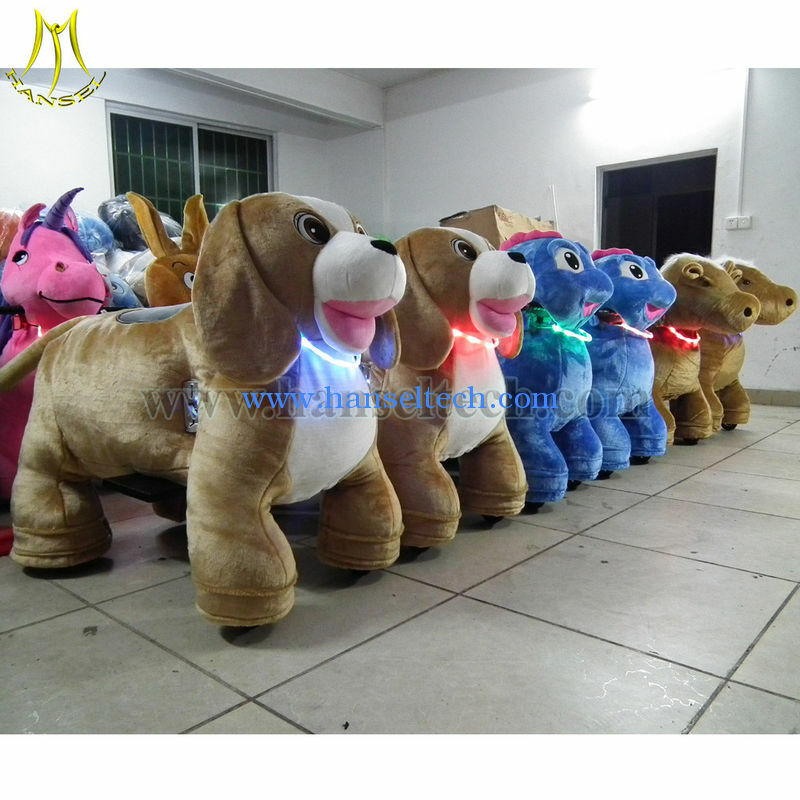 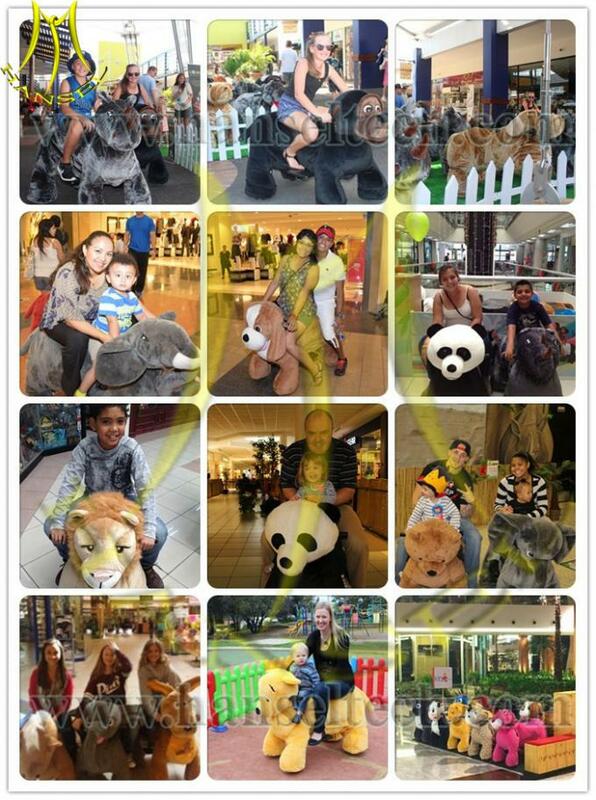 Take a ride on one of our unique giant electronic ride-on plush animals! 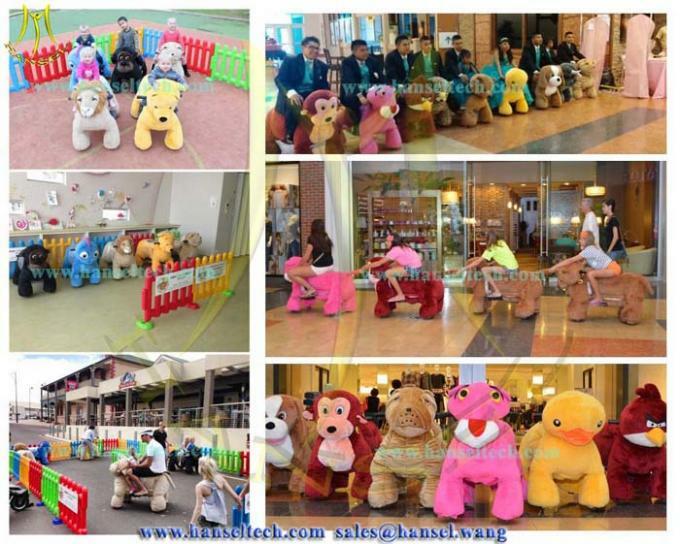 Our oversize stuffed animal allows you to ride and steering at safe speed, so your children would enjoy the ride.